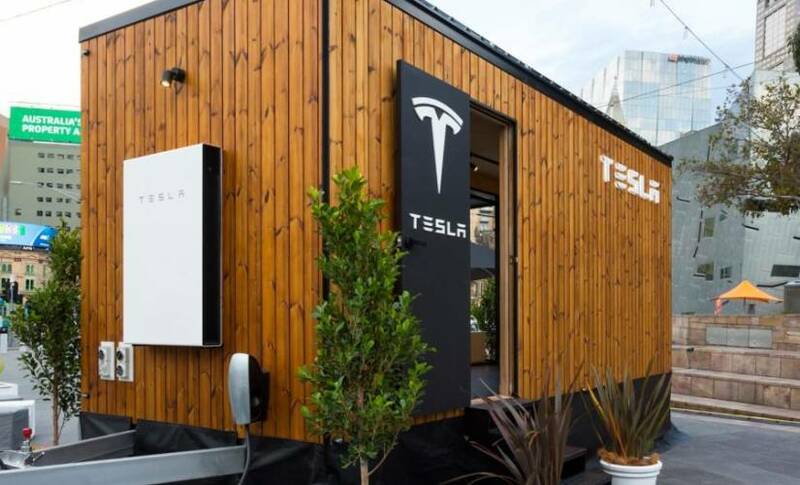 The tiny house is fitted with Tesla’s solar panels and a Powerwall, the company’s energy storage solution. A Model X will tow the house on its tour of Australia, starting in Melbourne before heading to multiple locations in Sydney, Brisbane, and Adelaide. Inside the house, customers can run their home through a mobile design studio, to see how much energy their home could generate, store, and save. Tesla is hoping to sell the full solution to customers, as adding the Powerwall can potentially take customers off the electrical grid. Tesla already has a major investment in Australia, in the form of a lithium-ion battery. Elon Musk agreed to build the largest lithium-ion plant – three times larger than the current record holder – for South Australia in under 100 days. The solar panel and Powerwall solution would also help Australians that are struggling to receive solid power from the grid, by using energy taken from solar panels during the day and, if necessary, using and storing energy from the grid at off peak times. Australia is the ninth largest country by solar capacity, but environmentalists believe the country could be much higher if it invested more into solar solutions.